Google scientists propose adding a 'kill switch' for A.I. Google scientists propose adding a ‘kill switch’ for A.I. Researchers from Alphabet’s DeepMind, the company Google bought for $500 million and which made headlines when their engineers made an A.I. that beat the world’s Go champion, are taking artificial intelligence threats very seriously. They propose adding a sort of kill switch that should prevent an A.I. from going rogue and potentially cause enormous damage. Nick Bostrom, a thin, soft-spoken Swede is the biggest A.I. alarmist in the world. His seminal book Superintelligence warns that once artificial intelligence surpasses human intelligence, we might be in for trouble. One famous example Bostrom talks about in his book is the ultimate paper clip manufacturing machine. Bostrom argues that as the machine become smarter and more powerful, it will begin to devise all sorts of clever ways to convert any material into paper clips — that includes humans too. Unless we teach it human values. This extreme scenario is, first of all, decades away, but given the potential consequences can be catastrophic a lot of really smart people are taking this very seriously. People like Bill Gates, Elon Musk or physicist Stephen Hawking have all expressed their concerns, and have donated tens of millions for programs aimed at nurturing benign artificial intelligence that prizes human values. The thing about artificial intelligence though is that it can also accelerate human technological progress at an unprecedented scale. For this to happen, we humans also have to give it a bit of leeway, a free hand. You can’t just hardcode all sorts of restrictions, because you’d just end up with a plain ol’ software program. DeepMind engineers are proposing something different. Instead of coding restrictions, they suggest a framework that will make it impossible for machines to ignore turn-off commands. That’s pretty reassuring, although Laurent Orseau, from Google DeepMind and of the lead authors of the paper, commented “no system is ever going to be foolproof. It is a matter of making it as good as possible, and this is one of the first steps,” he added. A.I. has the potential to eradicate disease, solve our food and energy problems and lead to unimaginable developments in science. In short, A.I. might save the world. It could also doom it. 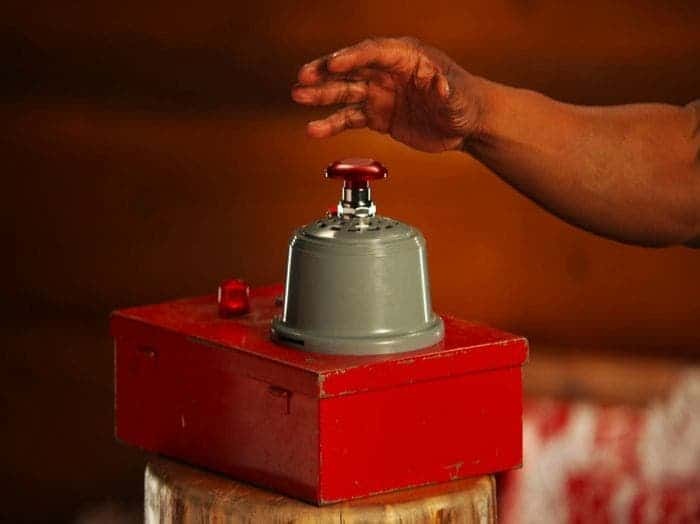 Maybe one ominous day, a big red button designed in 2016 will avert a calamity.